If you want to get involved with Vue.js but you had no or little experience with it before, you can start here with these tutorials describing basic concepts like Vue data binding and using vue devtools. 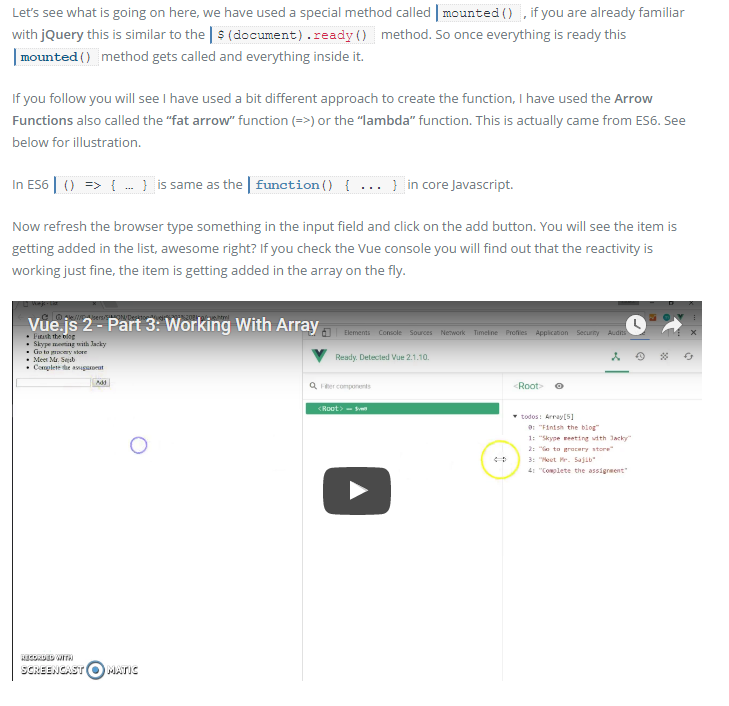 For now, the tutorial is 3 parts with more to come, and code examples up to fetching data to display them in an array, as well as a video demonstrating the result. Find these tutorials here, and stay tuned for the upcoming part about Event Listeners in Vuejs 2 by Simon Gomes.